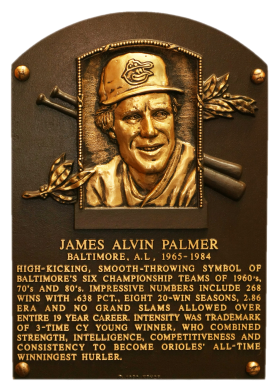 Ace of Baltimore's powerful teams of the 1970s, Jim Palmer won 20 games eight times on his way to three Cy Young Awards and 268 career wins. 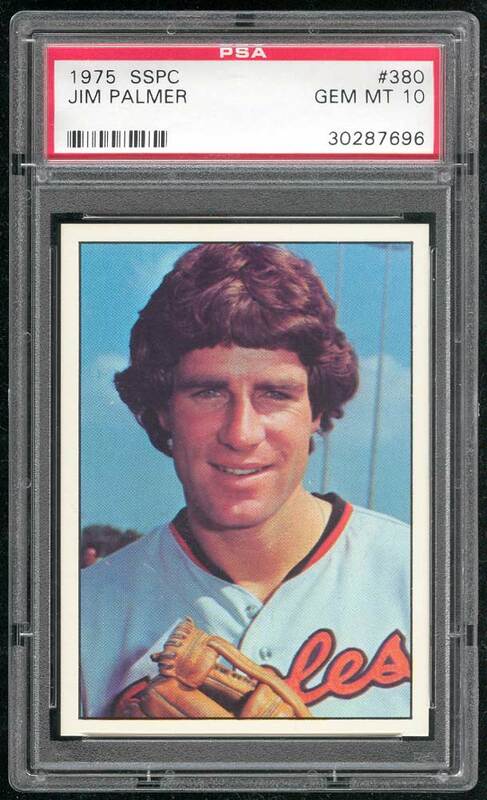 He led the AL in ERA twice and in innings pitched four times. 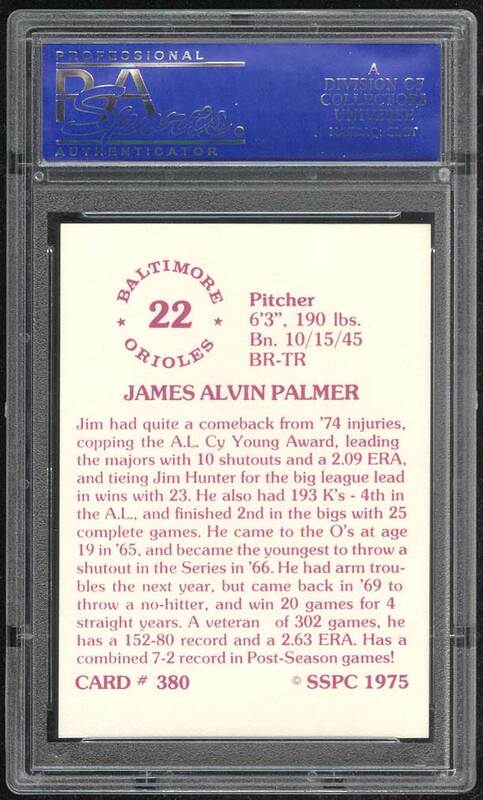 He had a career 2.86 ERA, 2,212 Ks, and 1,311 walks in 3,948 innings pitched. 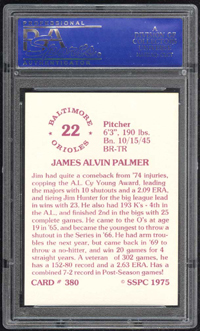 Comments: A 1975 Topps Mini PSA 8 was my first Palmer portrait, purchased in October, 2001, but I didn't like the dark image. The '75 SSPC was a better shot and won a PSA 9 on eBay in October, 2002. A few months later I upgraded to this PSA 10 in February, 2003.